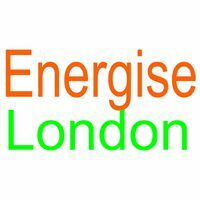 Energise London CIC is a social enterprise helping consumers, businesses and public sector organisations save and make energy and money. We achieve this by empowering them to take control of their energy use through for example, installing energy saving measures, generating their own energy and purchasing electric vehicles. Currently trading as Energise Barnet, Energise Ealing, Energise Enfield, Energise Haringey, Energise Harrow, Energise Herts and Energise Waltham Forest, we aim to operate in every London borough and the home counties. •	trained over 500 representatives of civil society organisations, schools and health professionals to identify and refer vulnerable residents in fuel poverty and / or at risk of ill health due to living in a cold home. •	Identified over 1,500 households that need help with making their homes warmer. •	Made over 600 referrals to Council care & repair services; Decent Homes teams; CAB benefits check teams; RSLs and Green Deal Providers/installers. •	Delivered 5,000 thermometers to help the elderly avoid living in low temperatures. •	Delivered 20 awareness raising events at hospitals and community centres to make residents aware of what help is available. •	Created a 300 strong community referral network. •	Established the UK’s first social enterprise-led Green Deal/ ECO programme supported by the former Energy Minister and Mayor of London. •	Created a pipeline of new business opportunities including a £300,000 solar PV project with schools in Barnet. 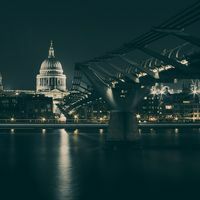 Our professional advisers include Grant Thornton UK LLP, one of the world's leading accounting / advisory firms and Latham & Watkins LLP, one of the world's largest law firms. Our partners include leading assessors, installers, financiers and manufacturers.